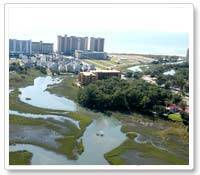 The Ocean Marsh complex is two blocks from the beach and less than a half mile to Barefoot Landing Shopping Complex. 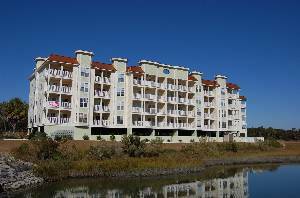 The units have spectacular views of the ocean marsh which abound with wildlife. You can sit in your unit and watch the hawks, Egrets and Heron fishing for their supper. For your enjoyment there is an outdoor pool, Jacuzzi and kiddy pool. 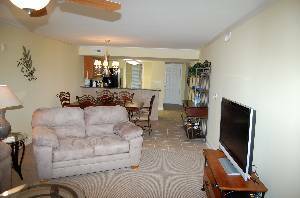 All units are marvelously decorated with granite kitchen countertops, large balconies, terra cotta tiled floors, and crown molding. 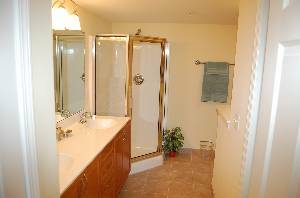 In the master bath there is a whirlpool to keep refreshed or just to take a break from vacationing. 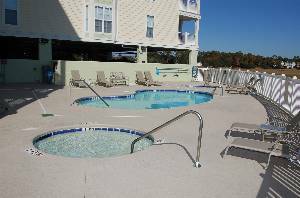 This North Myrtle Beach vacation destination is so close to championship golf courses, live dinner theatre, entertainment, waterfront shopping and award-winning dining that you could not ask for anything more. For a romantic getaway, there is nothing that quite compares with Ocean Marsh. Unit 208 was furnished in November 2008 with ultra luxurious appointments. The living room features a Queen Sleeper Couch and Love Seat and a 40” flat screen TV and DVD player. 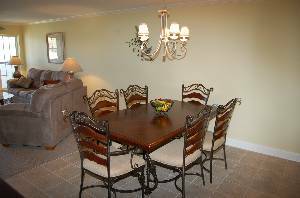 The dining room has a table for 6 and a baker rack complete with wine rack and glasses. The master bedroom has a King bed, 2 night stands complete with lamps, dresser and mirror. 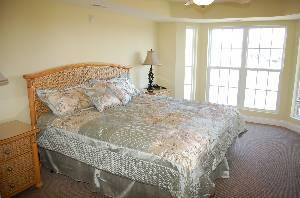 The 2nd bedroom is equally well appointed but with a Queen bed. In the master bath there are two sinks, separate shower and a whirlpool to keep you refreshed or to just take a break from vacationing. The second bath has two sinks and a combination shower/tub. 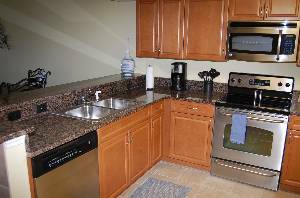 The kitchen is fully furnished with everything you need to cook whatever meals you desire.